Appliances are major investments for your home and business. When one starts malfunctioning, don’t throw it out. The professional repair technicians at Mr. Appliance of Durham-Chapel Hill can help. We offer skilled appliance repairs, fixing the root of the problem to prevent future errors. We also offer continuous maintenance services to keep an appliance running efficiently. Purchasing a brand new unit can be expensive. Trust our team to help fix the problem and save you money! Need to schedule Burlington appliance repairs? Call (919) 626-3670! For 20 years, Mr. Appliance has been the trusted name in appliance repair across the nation. We believe our customers should receive a bang for their buck when it comes to their appliances. Regardless of what the make or model of the appliance is, we can help! Our technicians consistently keep up to date with current technology and solutions, so that they can offer efficient, effective appliance repairs and services in Burlington, NC. 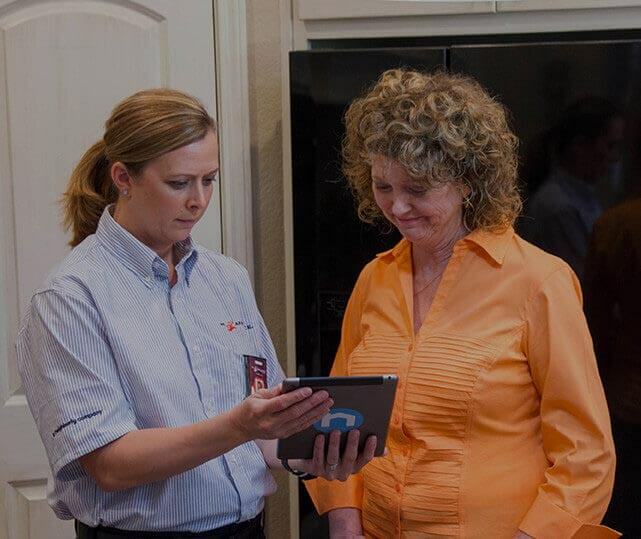 We can diagnose the issue with your specific appliance and show you your options, so you can make an informed decision. At Mr. Appliance of Durham-Chapel Hill, we care about our customers. To us, you are more than just another job, you’re family. We give you the same treatment and deals we would our own blood! A broken dishwasher or refrigerator cannot only be a headache, it can be a major waste of money. Save yourself the stress of dealing with a broken appliance. Trust your repairs or maintenance to us. Schedule appliance service in Burlington today! Call (919) 626-3670.